Three great bands, no, wait…make that three AWESOME bands, rock the Bacchanal this month. Read on! 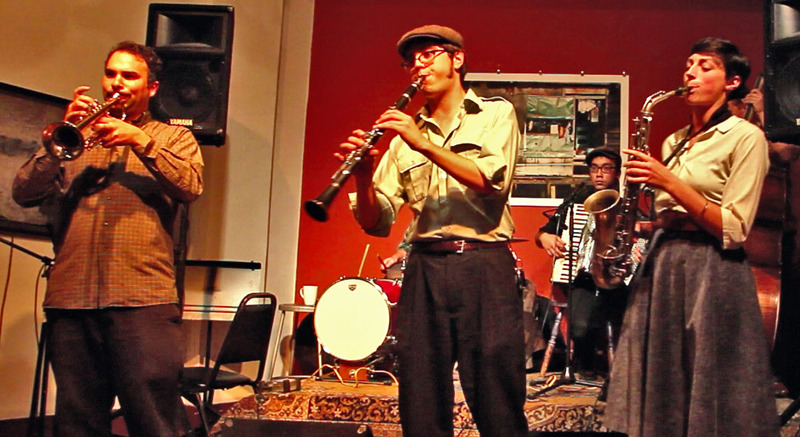 A Bacchanal favorite, Veretski Pass are our resident Klezmer virtuosos! Taking its name from the mountain pass through which Magyar tribes crossed into the Carpathian basin to settle what later became the Austro-Hungarian Empire, Veretski Pass offers a unique and exciting combination of virtuosic musicianship and raw energy that has excited concertgoers across the world. The trio plays Old Country Music with origins in the Ottoman Empire, once fabled as the borderlands of the East and the West. In a true collage of Carpathian, Jewish, Rumanian and Ottoman styles, typical suites contain dances from Moldavia and Bessarabia; Jewish melodies from Poland and Rumania; Hutzul wedding music from Carpathian-Ruthenia; and haunting Rebetic aires from Smyrna, seamlessly integrated with original compositions. Veretski Pass has just released a new cd – the amazing Poyln, A Gilgul! 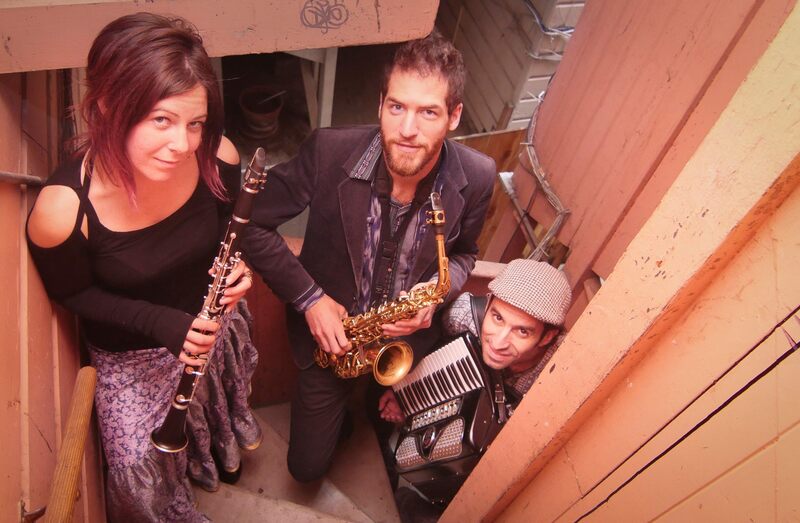 Orchestra Euphonos is a Bay Area-based Eastern European folk and klezmer band. Their uplifting sound is characterized by a brass and woodwind melodic front line. 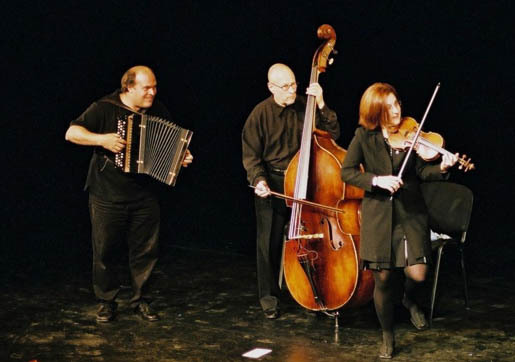 Orchestra Euphonos performs songs and melodies from old world Romania, Ukraine and Moldova and modern day Macedonia, Serbia, and Greece. Their performances are joyous occasions filled with wild takes on old favorites, group improvisations and more than a few opportunites to dance.